This “brain jam” is very similar to what we know as ADD or attention deficit disorder (now called attention-deficit/hyperactivity disorder), according to Dr. Edward Hallowell. This similarity became apparent to Dr. Hallowell, a former member of the Harvard Medical School faculty, as he treated patients in the mid-90s. His name for this new pathology is “attention deficit trait” (ADT). 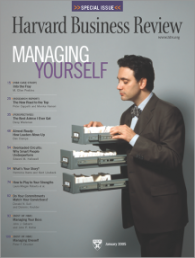 Dr. Hallowell’s article, “Overloaded Circuits: Why Smart People Underperform,” was published several years ago in the Harvard Business Review. He concludes with a long list of suggestions for coping with work induced ADT, ranging from diet and exercise to schedule management.